As per inside scoop available, Toyota has finally come up with the launch date of its much-awaited sedan, all new Toyota Camry. After a slew of anticipated launch dates for the car surfacing on the internet, the carmaker has been reported to have finally zeroed in on 24th August as the launch date for the sedan. It’s been since 1997 that the car has left its mark amongst the sedan-enthusiasts across the global market. 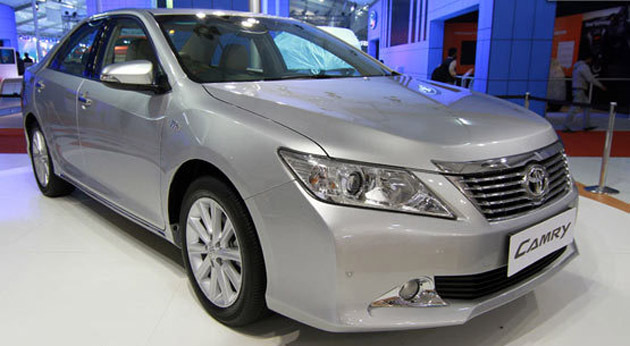 The Toyota Camry never lagged in justifying Toyota’s famous tagline; Luxury Beyond Excellence. The car is being favored more in the Toyota line-up in India because of its unparalleled styling, design and performance. Besides its balanced and attractive look, the car will be induced with many other changes. As far as exterior changes are concerned, front fascia, improved fog lamps and different styling to the bonnet are few changes that have been included. Engine too is to be changed, as we might not see the 2.5L petrol heart coupled with six-speed automatic transmission.